The original fast removable (QD) layout stops the steel swivel frame from contacting the gun. The shut Machining tolerances supply easy and silent operation. For finish adapter with stud put in within the barrel band of gun. Suits Ruger (10/22, 44 Magnum, and quantity 3 carbines). 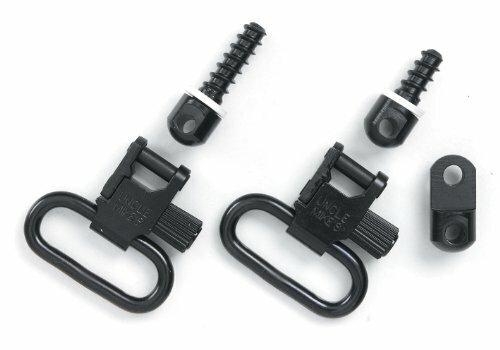 contains 1-forend adapter with stud, 1-wooden screw (half of”) for not obligatory for finish stud mounting, 1-wooden screw rear stud, and a pair of-qd swivels for 1″ slings. Swivel lock spring-loaded plunger and a knurled, threaded sleeve gets rid of unintended starting of the swivel. Closed hyperlink era creates an everlasting ring bond.